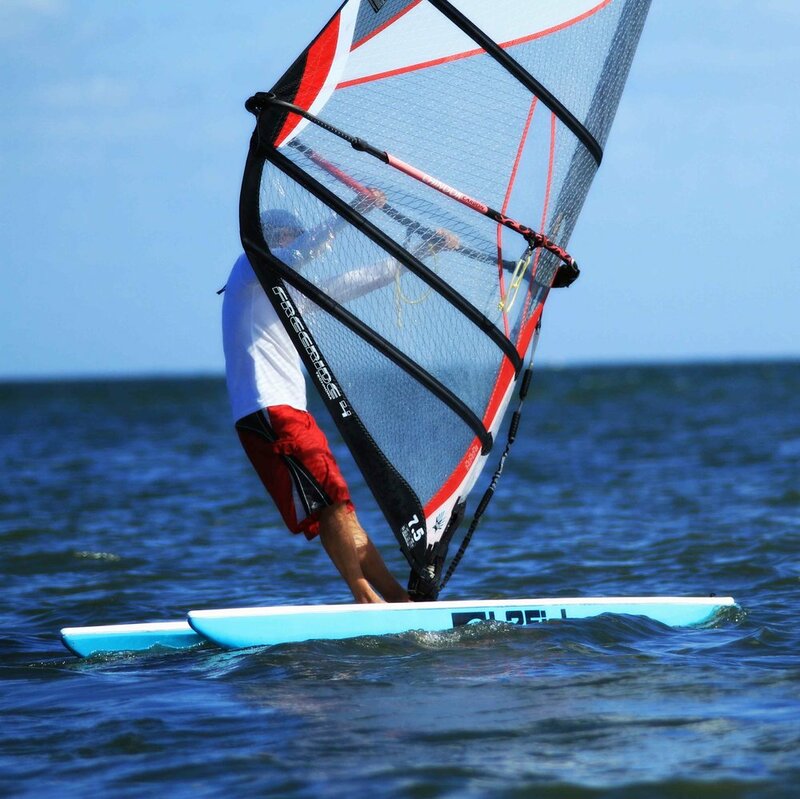 Paddle boarding, Cruising, Fishing, Kayaking, or Windsurfing; you can do it all! Our uniquely designed boards that provide stability, speed, large capacity, as well as a large platform deck and integrated Yak Attack tracks, allow them to excel in all kinds of different adventures. Whether its rigging up your board for a fishing excursion, loading your board up with coolers and supplies to traverse the Erie canal, adding a seat to paddle our board like a kayak, or even taking advantage of a windy day to go windsurfing, its all at your fingertips.